A recent Tuesday found Bernita Bradley in her car, crisscrossing the sparsely populated neighborhoods of Detroit’s East Side as she worked her way down a list. Each home she stopped at belonged to a family who hadn’t responded to news that their child secured a seat in school for the fall. Bradley, a mother who has spent years navigating the city’s chaotic educational landscape, is one of several parents who helped launch Enroll Detroit, an initiative of the advocacy group Excellent Schools Detroit that helps families find school placements for their children. 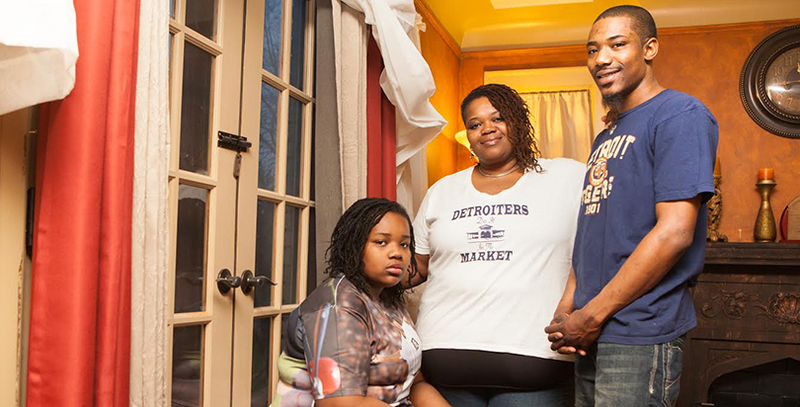 In the last six years, 80 percent of Detroit schools have opened, closed, or both. Such a service may be unnecessary in most places, but like pretty much everything pertaining to Detroit’s schools — by many measures the worst in the nation — enrollment is often not a simple act. In the last six years, 80 percent of Detroit schools have opened, closed, or both, according to the mayor’s office. Some neighborhoods have many families and very few schools. Others have far too many seats. Citywide, students fill just 60 percent of available classrooms. Too few students means too little of the state aid that follows them; too little aid means the school can’t pay its bills. One result: Detroit’s charter schools often close suddenly and with no plan to find new seats for students. Compounding these difficulties, there is no centralized list of choices to help parents in their search and city schools use 50 separate enrollment processes. More than a third of Detroit’s 108,000 students attend often short-lived charter schools; each of these also has its own application procedure. Busing is extremely limited and families may spend hours getting students to school and back. Bradley’s motivation for becoming a parent advocate arose in part from the experience of her daughter, who rotated through six schools between fourth and seventh grades. In more than one instance, as the girl’s school was closing, Bradley enrolled her at an undesirable school with an open seat while hoping to get to the top of the waiting list at a better one. This year, with only hours left on the enrollment clock, the former hair salon owner was determined to locate every family on her list. She resolved one problem relatively easily: a mother hadn’t answered her phone because she was in labor, so Bradley brought the enrollment forms to the older child’s new school while the mother stayed home with the infant. Another parent hadn’t responded because she couldn’t locate her child’s special education paperwork and suspected it had been lost in a house fire — a too-common occurrence in a city that has the nation’s highest arson rate. With no centralized infrastructure and no file archive to consult when a school closes, getting a new set of records can be impossible. Which leads to another common obstacle: the office where people used to get copies of their birth certificates — a must-have to enroll in school — no longer exists. The only feasible way to find a birth certificate is trekking 180 miles round-trip to the state capitol in Lansing — which may not be easy for the 25 percent of Detroiters who lack access to a car. But the most common problem Bradley and other Enroll Detroit staff encountered was scarcity of time. For parents working multiple jobs and dependent on public transit, getting to a school to complete enrollment forms is often a burden. One family’s enrollment uncertainty affects entire schools. Parents often try to improve their chances by enrolling children in multiple schools. Not knowing which of these students will actually show up in the fall makes it impossible for schools to project how many teachers to hire. The use of a single, unified application process has made enrollment easier and fairer in a number of cities with large charter sectors. Most of these systems allow students and their families to rank their preferences among all schools, including charters. Matches are generated by a computer algorithm modeled on the program that matches medical students with residencies. Over the last three years, universal applications have helped stabilize school systems in, among other cities, New Orleans, Denver, and Newark. The tracking function in these systems itself performs an important equity task: schools have a harder time erecting informal roadblocks that prevent the neediest students from enrolling or pushing out enrolled students who aren’t succeeding. In New Orleans, for instance, a universal school application led to higher rates of admission for impoverished students and children with disabilities in high-performing schools. Additionally, students facing expulsion are now entitled to a due process hearing that protects them from being informally pushed out. The number of schools participating in OneApp, New Orleans’ system, has risen steadily over the last four years. All but the handful of city schools that use selective enrollment criteria now participate. Going forward, selective charter schools will be required to join the system in order to renew their charters. Maria Montoya, previously a member of the New Orleans Recovery School District team that launched OneApp, is now the director of communications and partnerships for Enroll Detroit. A total of 40 charter schools and two private schools participated in the Enroll roll-out last April. Although Detroit Public Schools conferred with advocates, the troubled district declined to participate. Detroit is home to organized and vocal networks of experienced parents working to identify the best choices for children in an ever-shifting system. One of Bradley’s colleagues has eight children in five different schools, for instance. So even before its centers opened, Enroll Detroit tapped a small army of volunteers to walk the city’s 106 neighborhoods to let families know about the service. As they knocked on doors, the volunteers also learned about people’s needs. Bradley gave the canvassers journals, suggesting they record their observations and feelings. Because vast tracts of Detroit, like New Orleans, are mostly depopulated, the first step Bradley’s and Montoya’s team took was to figure out where families actually lived. In all, three hundred families connected with Bradley and her colleagues at six enrollment centers and community events. By mid-May, the families learned of their matches. That was supposed to be the beginning and the end of Enroll’s intervention, but between the city’s lack of centralized services and poverty-related challenges facing many of their constituents, Montoya, Bradley and parent volunteers who staffed the centers realized they needed to add a second phase to their program — this time as family advisors in choosing which schools to attend. And because the goal was not to steer families toward particular schools but to help them make informed choices, they decided to help parents who wanted seats in schools that hadn’t participated in their enrollment initiative. 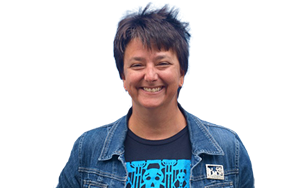 For her part, the canvassing and last-minute troubleshooting left Bradley gratified and more committed than ever to the work. She wasn’t sure what to expect, but people were consistently happy to see her.